Deep in the heart of Central Virginia, bucolic farmland supporting horse country and boutique vineyards, craft breweries and are set against a backdrop of the Blue Ridge Mountains. Here, Charlottesville brings the vibrancy of a college town—offbeat music, food, young people, and all—to the rolling countryside. The city hasn't lost touch with its Southern roots or historic legacy, but it still manages to embrace the creative energy swirling around the University of Virginia. After all, the Charlottesville area has always been a place for revolutionary thinkers, with Monticello and Montpelier both nearby. 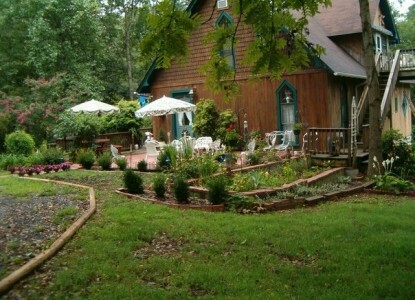 Less than a mile off Route 29, the B&B is also 20 minutes from Shenandoah National Park. "Stretching for more than 100 miles through Virginia," says Southern Living, "Shenandoah National Park has lured generations of nature lovers with its gorgeous mountain vistas, winding hiking trails, and tumbling waterfalls." Not up for the hike, take a drive through Sky Line Drive along the park. Seven miles away is James Madison's Montpelier, Begin learning about Madison's sizable contribution to the Constitution in the visitors' center, then proceed to the main house and sprawling grounds. If you can't get enough presidential history, you can make the 30-minute drive to see Thomas Jefferson's Monticello estate or Ashlawn home of James Monroe. Travelers are always looking for memorable and relaxing experiences. Let’s discover more through the words of our innkeepers. Many thanks to Doris Webb for sharing her own secrets with BBOnline.com! Historical sites, wineries, and the University of Virginia. 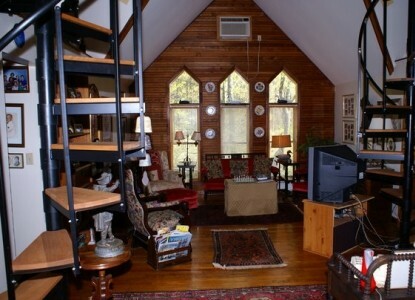 The Ebenezer House B & B had once been the Ebenezer Methodist Church in Culpeper, VA; moved to Madison County. The charm of the great room when you enter. It is great for entertaining. 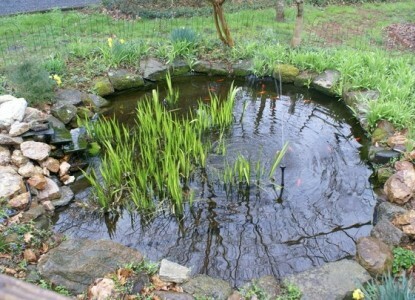 The historical sites, Civil War sites, and wineries. 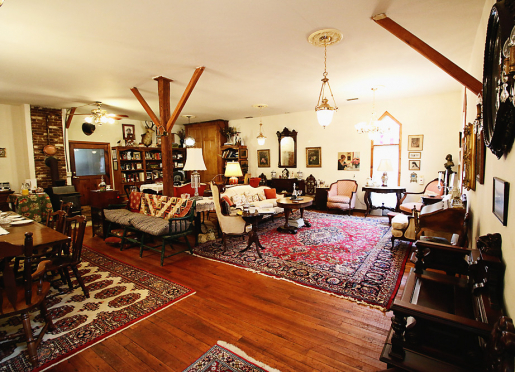 The Ebenezer House has "Old World Charm." Visit Monticello and Montpelier and the wineries. The Ebenezer House has many links for quests to use to find out what is currently happening in the Charlottesville-Culpeper Area. 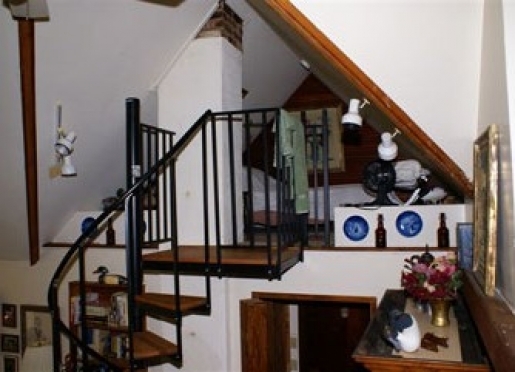 We have 3 bedrooms, 2 open Lofts and 2 bathrooms. Yes, We accept well trained dogs. Doris has a BS degree in Economics from Geneva College and a Master’s in Business Education from the University of Pittsburgh. Doris spent many years teaching business curriculum in high school and community colleges in Pennsylvania, Tennessee, and Maryland as she and her husband, who was assistant general counsel for Gulf Oil Corporation and later for the Department of Energy moved from state to state. 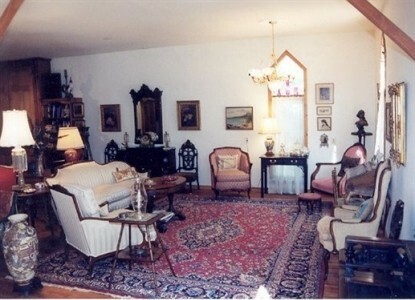 Doris served as the executive director and CEO for the Havre de Grace Housing Authority in Maryland before retiring. During this period she developed educational programs for the residences for the Welfare to Work program. She completed 3.7 million dollars of renovation to upgrade the housing property. Served on the HUD Drug Task Force and Housing Authority’s Insurance board. In 1993, she received the Distinguished Service Award from Geneva College for outstanding achievement in education and for demonstrating a life of service. Following retirement, Doris started to look for property in the Charlottesville Area to be near her daughter. She already knew lots of people in the area as daughter Amy , son, Alan, and she are fox hunters. We are members of the National Beagle Club, Aldie, Virginia and we hunt with the Waldingfield Beagles in Charlottesville. Amy Webb Burke graduated from Virginia Intermont College with a BA degree in Equine Studies and Psychology. Amy worked as assistant instructor to the Equine Director of Virginia Intermont College. Amy has 25 years experience as a Professional Equestrian, showing hunt seat, side-saddle, training horses and riders for the show ring. Alan Webb attended Geneva College as Biology major. Then he became a Department of Defense Bases government contractor. He started his own company doing renovation projects on the Albany Marine Core Logistic Base in Albany, Georgia. Before he retired, his last project was a fire station in Panamá City, Florida for the Navy. Alan is now back in college part time finishing his Biology major. 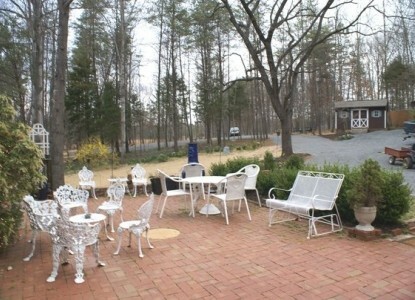 Upon arrival, guests are invited to tea, coffee, or a complimentary glass of Virginia wine. 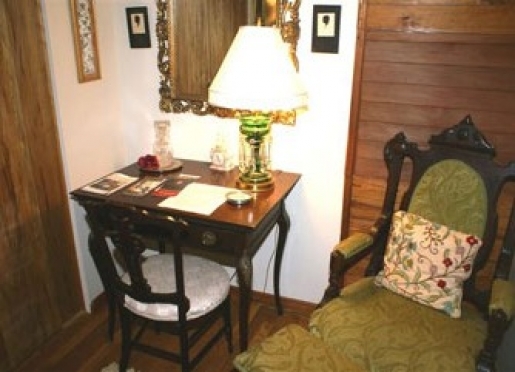 Ebenezer House has WiFi available for our guests. 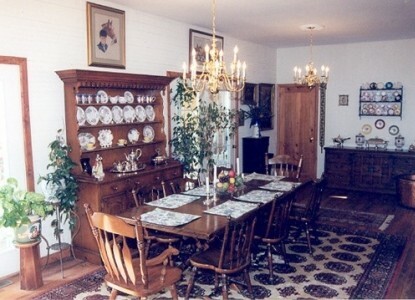 A country buffet breakfast is served in the formal dining room or on the downstairs deck, weather permitting. Breakfast consists of rolls, muffins, eggs Benedict, pecan waffles, omelets, and a selection of juices, fresh fruits, and cereals. All organic foods are served. 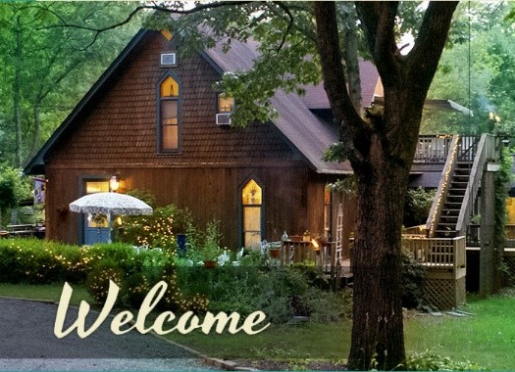 We look forward to hosting you as guests in our Madison, Virginia Bed & Breakfast. 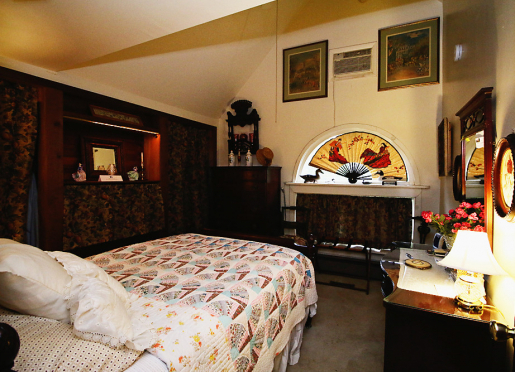 Ebenezer House Bed & Breakfast has three lovely appointed rooms. 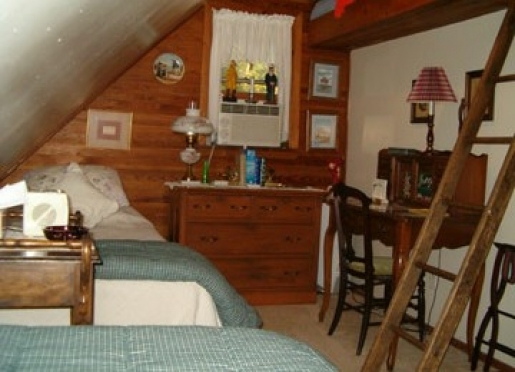 Two bedrooms with double beds and one bedroom with twin beds and a loft on the second floor. All of our rooms have air conditioning and ceiling fans. 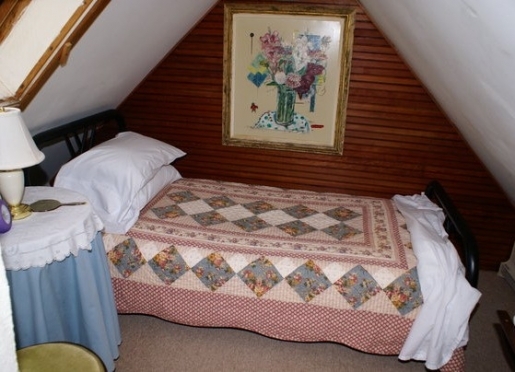 We also have a first floor handicap accessible room if needed. Please check with us about it's availability. Check with us for our rates for extended stays. (3 days or more). Virginia sales tax of 5% will be added to all lodging. 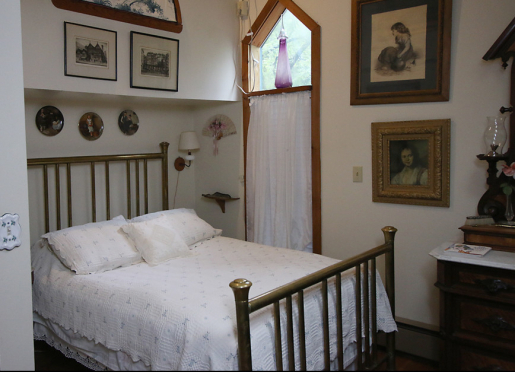 The Ebenezer House is located 1/10 of one mile off of U.S Route 29, which gives you a quick and easy access to traveling to Culpeper, Charlottesville, Madison, Greene, Orange, and Albemarle Counties. Here are some of our suggestions for things to do while you are staying with us. Plow and Hearth Country Store and Outlet: A delightful place to visit and shop, two miles North on 29. - 5 minutes. Wineries: Twenty wineries within 15-20 minutes radius. Wine Festivals: Free tours, tasting and sales. Please visit our Area Attractions page for all of the links to these local attractions. 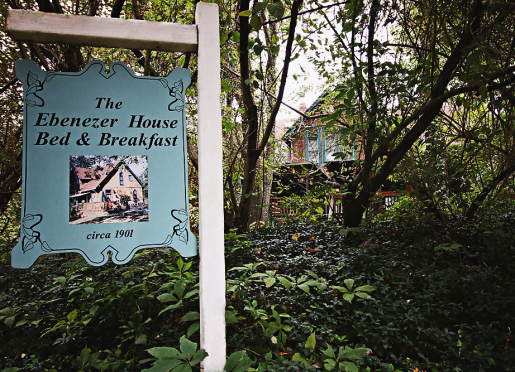 We hope this helps you as you plan your visit to our area and a stay at Ebenezer House Bed & Breakfast. 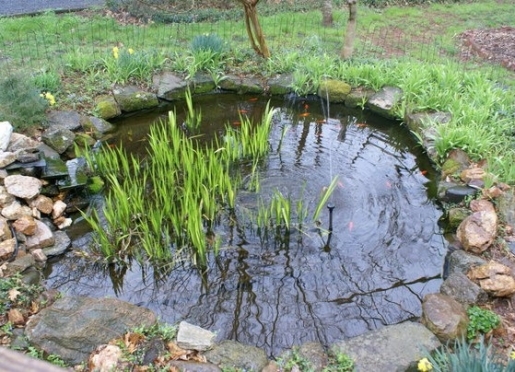 Specializing in country homes, farms and estates in the seven counties surrounding Charlottesville. 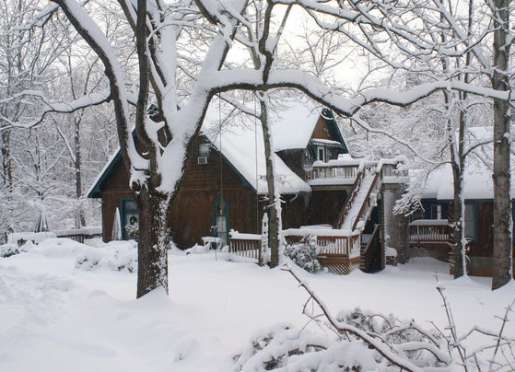 With 27 years of brokerage experience, they will answer all your questions and help you find the perfect home whether it be a mountain cabin or an historic estate. Nan Rothwell's Pottery: Visit at nearby working pottery.